New Delhi : Thirty-four years after the gruesome killings, the Delhi High Court on Monday convicted Congress leader Sajjan Kumar in an anti-Sikh riot case of 1984 here and sentenced him to imprisonment for the remainder of his natural life, holding that the violence was a "crime against humanity" engineered by politicians with assistance from police. Setting aside the acquittal of Sajjan Kumar, the court convicted him and five others saying that the "criminals" had escaped prosecution and punishment for over two decades. "This court is of the view that the mass killings of Sikhs in Delhi and elsewhere in November 1984 were in fact 'crimes against humanity'. They will continue to shock the collective conscience of society for a long time to come," a bench of Justice S. Muralidhar and Justice Vinod Goel said. Sajjan Kumar was asked to surrender by December 31 and directed not to leave Delhi. "In the summer of 1947, during partition, this country witnessed horrific mass crimes where several lakhs of civilians, including Sikhs, Muslims and Hindus, were massacred," the bench said. "Thirty-seven years later, the country was again witness to another enormous human tragedy. Following the assassination of Indira Gandhi, the then Prime Minister, on October 31, 1984, by two of her Sikh bodyguards, a communal frenzy was unleashed. "For four days between November 1 to November 4, all over Delhi, 2,733 Sikhs were brutally murdered. Their houses were destroyed. In the rest of the country too, thousands of Sikhs were killed," the bench observed in its 203-page order. The court said: "A majority of the perpetrators of these horrific mass crimes enjoyed political patronage and were aided by an indifferent law enforcement agency." The court convicted the Congress leader under various counts of Indian Penal Code (IPC) including murder, criminal conspiracy, delivering provocative speeches instigating violence against Sikhs, mischief by fire or explosive substance with intent to destroy house and injuring or defiling place of worship with intent to insult the religion of any class. 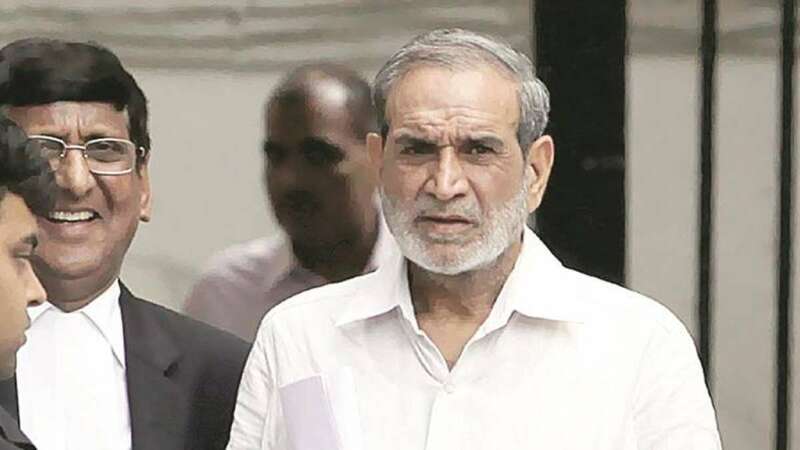 In October, the High Court reserved its order on the pleas challenging that trial court judgement on Sajjan Kumar but convicted the other five in the killing of five people in Delhi Cantonment area following Indira Gandhi's killing. The HC Division Bench upheld the trial court April 30, 2013 judgement convicting five other accused -- former councillor Balwan Khokhar, former legislator Mahender Yadav, Krishan Khokar, Girdhari Lal and Retired Captain Bhagmal -- for their involvement in the case. The five have filed appeals against their conviction. Khokar, Bhagmal and Lal, who were sentenced to life imprisonment, are currently in jail while the HC has asked Yadav and Krishan to surrender by December 31 and not to leave Delhi. The HC enhanced the punishment of Yadav and Krishan to 10 years in jail and slapped a fine of Rs 1 lakh on each convict. Sajjan Kumar and the others were charged with the killing of five Sikhs -- Kehar Singh, Gurpreet Singh, Raghuvender Singh, Narender Pal Singh and Kuldeep Singh, who were members from the same family -- by a mob in Delhi Cantonment's Raj Nagar area on October 31, 1984. The HC said the accused had been brought to justice primarily on account of the courage and perseverance of three witnesses: Jagdish Kaur, whose husband, son and three cousins were the five who were killed; Jagsher Singh, another cousin of Jagdish Kaur, and Nirpreet Kaur, who saw the Gurudwara being burnt down and her father being burnt to death. The court appreciated the CBI saying it was able to win the confidence of the witnesses who spoke up and remained glued to truth at the trial.